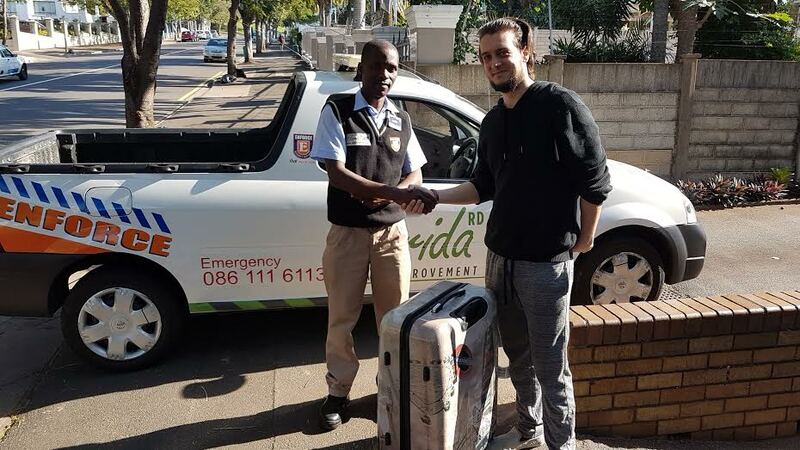 Senior Security Officer Lloyd Zondi returning a stolen bag to Florida Rd resident Andrea Balocco. Whilst patrolling early on Friday morning, Lloyd spotted a suspicious male pushing the bag up Florida Road. Upon noticing the UIP security vehicle, the suspect discarded the bag and fled. Having contacted all the hotels and guest houses in the area, the UIP received a report of a break-in at a residential block on Florida Road and tied the bag to the property.